Concrete for your next job? When quality, expertise and precision matter for your next Central Indiana construction project, call metro Indianapolis' longest-operating ready mix supplier. We do it right: The right people, the right mix and the commitment to deliver projects -- whether a high-profile interstate bridge or airport runway or a residential decorative concrete walkway -- on time and within budget. Shelby Materials’ expertise in utilizing specialty concrete mixes allow us to provide the right mix uniquely suited for each and every construction project. Shelby Materials provides expertise in decorative concrete including acid-stained, painted and overlaid flooring for commercial or residential use. Shelby Materials has been supplying concrete for interstate bridges, concrete streets, curbs and walks, as well as flowable fill that meet INDOT specifications for more than 60 years. Shelby Materials provides precast concrete that brings versatility, sustainability, strength, durability and lower lifetime costs to construction projects. 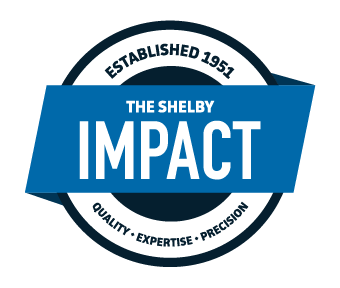 In our 60+ year history, Shelby Materials has identified distinguishing assets that set us apart from the competition. Shelby Materials has been a tremendous partner for Custom Concrete. We've come to depend on their expertise in ready mix concrete, from the continual communication we receive from the dispatchers during a pour to never worrying if they have the right mix for the job. I believe the quality is very good, and the service is outstanding. Dave Houchins has always been our sales person and gotten us whatever we needed. We have never had a quality problem, which we have had with other ready mix companies. 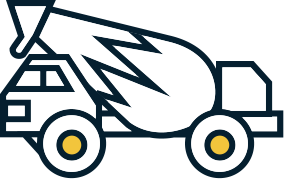 Our course has been around for 5+ years, and they have been our go-to source for top dressing sand, kiln dried, root zone mix, bunker sand, pea gravel and road base gravel. Their selection, quality and responsiveness to customer needs is all-star. If I have a problem, they are on top of it right away. If you have an issue, you can go all the way to the top. You can’t do that with any other company. You can’t beat their service. Dispatchers empowered to make real-time decisions and that’s not the case with other companies. They call me to ask what I need – and nobody else does that.